Alice Sabo chose self-publishing for the speed and creative control it offers. Read why she chose the Kindle Select Program and why authors shouldn’t rush to publish. Asher Blaine was an actor with significant star power before destroying his career with drugs. After years of cycling through rehab and relapse, he finally had his epiphany and chose sobriety. While carefully piecing together the ravaged scraps of his life in a quiet suburb of LA he is arrested for murder. The victim, his ex-business manager, was shot with a re-fitted prop gun from one of his movies. A coincidence proves his innocence, but subsequent violence casts doubts. Asher realizes he must mend all his burnt bridges a lot sooner than he’d planned. When he turns to the people he trusted most, he discovers he must convince them not only of his sobriety, but of his determination to stay that way. A series of calamities raises the stakes and he uncovers a stunning lie from his past. He must track down a man he thought long dead: a man who’s been planning Asher’s death for years. I have always been a do-it-yourself kind of person. When I started writing seriously, I intended to go the traditional route. Self-publishing was considered vanity press back then. But little by little praise of self-publishing crept into the writing advice blogs I frequent. I was reading a lot of agents’ blogs and it was getting ridiculous trying to sort out what was allowed and how to approach them. Then you were at their mercy of when they might respond and if they would require rewrites and if they would approach certain publishers. When I got to the final edit of my mystery novel I started looking into self-publishing an e-book. I found Smashwords and was impressed with the distribution channels. I started with an illustrated flash, to learn all the ropes. I had queried about a dozen agents for my first novel, a science fiction doorstop with a cast of a thousand. They all turned me down and I totally understand why. It wasn’t ready. It’s in rewrite now. When White Lies was ready to go, it just made more sense to do it myself. I like the control over the process. Whatever happens, or does not happen, comes down on me alone. I can’t blame a bad cover or poor distribution on anyone else. That’s scary, but it can also be very rewarding. And of course the speed of the process. From final draft to published is lightspeed compared to traditional publishing. I’d still be doing the rounds of agents right now. 5. Tell me about the marketing techniques you’ve used to sell your books. I enrolled in the Kindle Select Program for the initial 90 days starting 2/25/12. I have heard that it gives a bit of a boost to unknown writers. It’s a little too soon to say how it’s working. It is my first book on the market. 6. Independent authors face the obvious challenge of marketing their books without the resources of traditional publishers. What advice do you have for an indie author just starting out? I’ve read a lot of free books lately and I would caution writers not to rush to publish until they have lots of feedback. I’ve seen bigger problems beyond typos and formatting. There have been poor and flat out wrong word choices, plots that change course and weak endings. Make sure the story works before you let it loose on the world. I’m rewriting the science fiction novel. It was always planned as a series, but the first book was a meandering mess. I hope to have it ready to self-pub by December. Thanks for the opportunity, Kris! 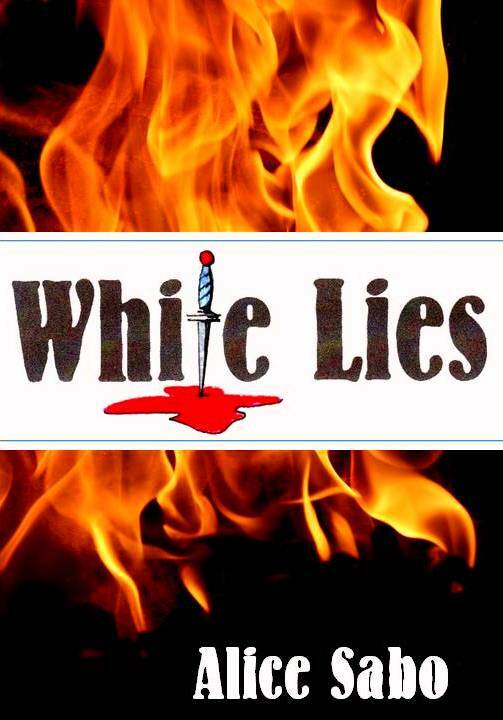 For anyone interested, White Lies will be free on Kindle Select April 11 and 12.